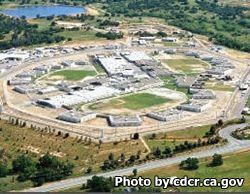 Mule Creek State Prison is located in Ione California. This facility houses long term offenders as well as offenders awaiting re-entry to society. The re-entry program is designed to prepare offenders for life on the outside, which can be much different from what they have been conditioned to while in prison. It also helps offenders to plan out where they will be going, how they will work, and gives them the skills they need for a better chance at successful reintegration. Inmates at Mule Creek can take part in a variety of programs. The education programs at this facility include Adult Basic Education, GED courses, ESL classes, and literacy/reading classes. This facility also allows some of the inmates to work in community service crews, relapse prevention, and youth diversion programs. Vocational courses include HVAC, maintenance, electrical, gardening, welding, carpentry, and auto mechanic repair. All of these are offered to the inmate so that they can serve a purpose while incarcerated and learn a new skill they can use upon being released. In order to visit an inmate you must have filled out a visitors application and it must be approved. Visiting is on Saturdays and Sundays from 8:30am-10:30am and again at 12pm-3pm, if you arrive after 2pm you will not be allowed to enter visitation. Visitors are also permitted on four holidays, New Year's day, July 4th, Thanksgiving and Christmas day. Visits to inmates who can only have non contact visits must schedule an appointment online here.